From the summit, cut through the trees to return to the second headwall. At the bottom of the first snowfield/meadow, pick your way through the trees staying left (most people take the gully and cut left) to another prominent meadow. One more group of aspens, and the third meadow becomes apparent. Just beyond the trees at the bottom of the third meadow is the road where you started. Numerous variations exist into some rather tight trees, but this route is well-traveled enough that you can get pow turns in the meadows and follow tracks through the trees to the next mostly-unskied meadow. If you are skiing early season, keep in mind there is a lot of deadfall and broken leg potential lurking under shallow snow, especially in the aspen trees. Jones Pass is a summer jeep road that winds up over some of the unnamed high peaks in the Front Range. The pass itself begins when the parking area that is maintained by the Henderson Mine ends. An intrepid skier can find a little bit of everything here, from steep tree shots, to big wide open high alpine bowls to even a couple of couliors. Historically, there was at one point a ski area planned for this area and there have been a couple of cat skiing operations that have come and gone as well. 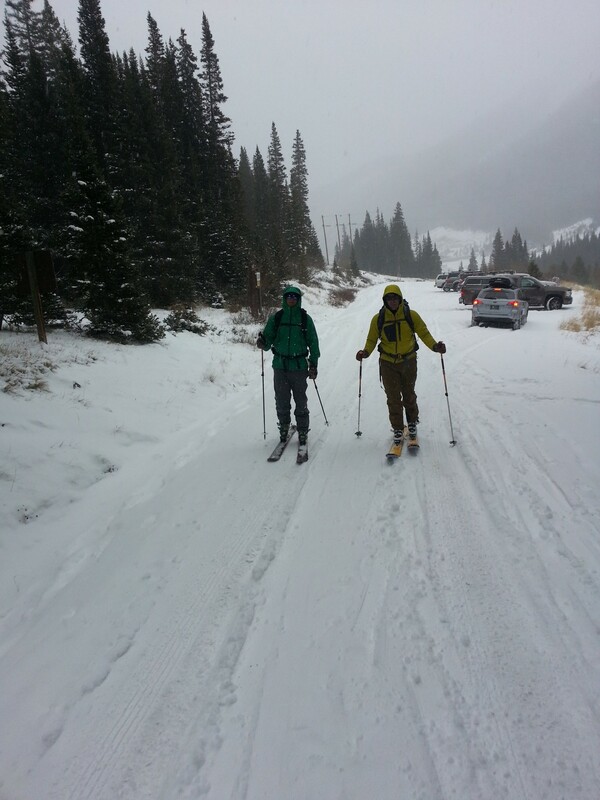 (Note: Currently the cat skiing company Powder Addiction operates out of Jones Pass). Unlike near by Berthoud Pass however, there is no way to do any kind of car shuttle here, so you have to earn every foot of descent that you gain. 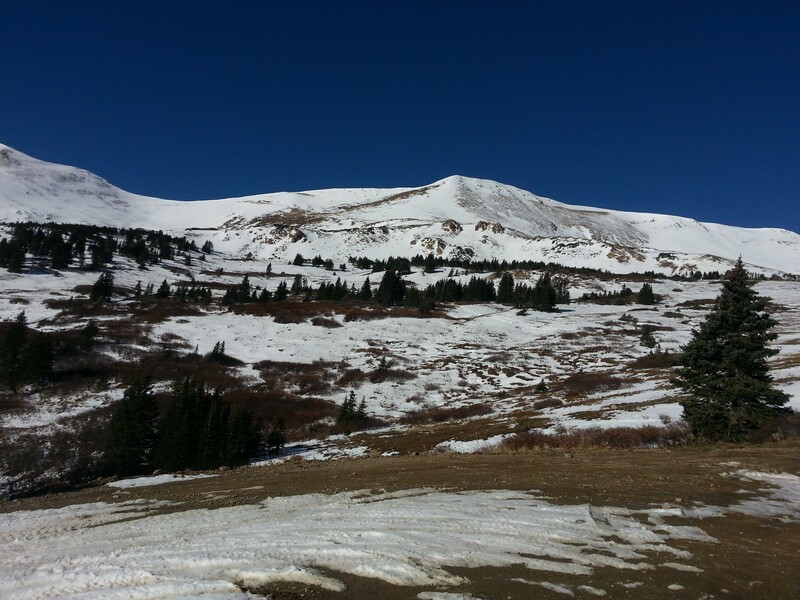 Jones Pass is also an extremely popular snowmobiling area, so if you go there on a weekend do not be suprised to have a number of snowmobiles go roaring past you on the road or to find yourself skiing snowmobile tracks. That being said, if your willing to branch out a bit you might find some pretty amazing skiing. Take I-70 West to the US 40 Empire exit. Follow US 40 until right before you make the first switchback as if you were headed up Berthoud Pass, where you will make a left onto the Henderson Mine road. (Note: You will see a sign a couple hundred yards before this that says Jones Pass 2 3/4 miles, it's the first left turn before that.) Follow the Henderson mine road and make a right onto a dirt and snow covered road just before the gate. (there's a huge sign that says Skiers and Snowmobiliers parking this way). Drive up the road aways, if your in a snowmobile please park in the lower lot, if your on skis feel free to drive up to the higher lot. This puts you at the beginning of the Jones Pass road, to reach the skiing, you will need to skin up the road for about a mile before you get to the main climbs.